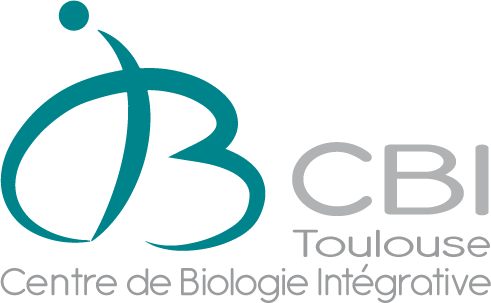 Li T, Mary H, Grosjean M, Fouchard J, Cabello S, Reyes C, Tournier S, Gachet Y.
Cabello S, Gachet Y, Tournier S..
J Cell Biol. Mar 28;212(7):747-9. Gachet Y, Reyes C, Tournier S..
Mary H, Fouchard J, Gay G, Reyes C, Gauthier T, Gruget C, Pécréaux J, Tournier S , Gachet Y .
Fission yeast kinesin-8 controls chromosome congression independently of oscillations. 2015 Jan Le Bourg E, Gauthier T, Colinet H. Feeding on frozen live yeast has some deleterious effects in Drosophila melanogaster. Exp Gerontol. 2015; 7;69:202-210. 2015 Jan Audry J, Maestroni L, Delagoutte E, Gauthier T, Nakamura TM, Gachet Y, Saintomé C, Géli V, Coulon S. RPA prevents G-rich structure formation at lagging-strand telomeres to allow maintenance of chromosome ends. EMBO J. 2015 14;34(14):1942-1958. 2015 Jan Reyes C., Serrurier C., Tiphaine Gauthier T., Gachet Y. °, Tournier S.° Aurora B targets both centromeric and telomeric heterochromatin domains to prevent chromosome arm separation defects in fission yeast J. Cell Biol. 2015:16;208(6):713-27. 2010 Jan Gao Q., Courtheoux T., Gachet Y., Tournier S., and He X. (2010). A non-ring-like form of the Dam1 complex modulates microtubule dynamics in fission yeast. Proc Natl. Acad. Sci. 2010 : 27;107(30):13330-133305. 2010 Jan Goldstone S.*, C. Reyes C.*, Gay G., Courtheoux T., Dubarry M., Tournier S. ° and Gachet Y. ° Tip1/CLIP-170 protein is required for correct chromosome poleward movement in fission yeast. PLoS One. 2010 :13;5(5):e10634. 2009 Jan Courtheoux T., Gay G., Gachet Y.°, Tournier S.°. Ase1/Prc1-dependent spindle elongation corrects merotely during anaphase in fission yeast. J. Cell Biol. 2009 :187(3):399-412. 2009 Jan Jourdain I., Gachet Y., Hyams J. The dynamin related protein Dnm1 fragments mitochondria in a microtubule-dependent manner during the fission yeast cell cycle. Cell Motil. and Cytoskeleton. 2009 : 66(8):509-523. 2008 Jan Gachet Y. *, Reyes C.*, Courthéoux T., Goldstone S., Gay G., Serrurier C., Tournier S. Sister kinetochore recapture in fission yeast occurs by two distinct mechanisms, both requiring Dam1 and Klp2. Mol. Biol. Cell. 2008 :19(4):1646-1662. 2007 Jan Gachet Y.°, Tournier S.°. Lost your orientation? Find your way with PtdIns(3,4,5)P3! Dev. Cell. 2007 :13(6):753-754. 2007 Jan Courtheoux T., Gay G., Reyes C., Goldstone S., Gachet Y.°, Tournier S.° Dynein participates in chromosome segregation in fission yeast. Biol. Cell. 2007 :99(11):627-637. 2006 Jan Gachet Y., Reyes C., Goldstone S., Tournier S.. The fission yeast spindle orientation checkpoint: a model that generates tension? Yeast. 2006 :15;23(13):1015-1029. 2005 Jan Gachet Y., Codlin S., Hyams J. and Mole S.. Btn1, the fission yeast homologue of the human Batten disease gene, CLN3, regulates vacuole homeostasis. J. Cell Science. 2005 : 118 (23): 5525-5536. 2004 Jan Tournier S.°, Gachet Y.°, Buck V., Hyams J. and Millar J. Spindle position is monitored by the Bub1, Bub3 and Mad3 checkpoint proteins in fission yeast. Mol.Biol.Cell. 2004 :(7): 3345-3356. 2000 Jan Tournier S, Millar JB. A role for the START gene-specific transcription factor complex in the inactivation of cyclin B and Cut2 destruction. Mol Biol Cell. 2000 11(10):3411-24. 1999 Jan Wilkinson MG, Pino TS, Tournier S, Buck V, Martin H, Christiansen J, Wilkinson DG, Millar JB. Sin1: an evolutionarily conserved component of the eukaryotic SAPK pathway. EMBO J. 1999 Au2;18(15):4210-21. 1997 Jan Tournier S., Gachet Y. and Hyams J. Identification and preliminary characterization of p31, a new PSTAIRE-related protein in fission yeast. Yeast. 1997 : 13(8):727-734. 1996 Jan Tournier S, Raynaud F, Gerbaud P, Lohmann SM, Anderson WB, Evain-Brion D. Retinoylation of the type II cAMP-binding regulatory subunit of cAMP-dependent protein kinase is increased in psoriatic human fibroblasts. J Cell Physiol. 1996;167(2):196-203. 1996 Jan Tournier S, Leroy D, Goubin F, Ducommun B, Hyams JS Heterologous expression of the human cyclin-dependent kinase inhibitor p21Cip1 in the fission yeast, Schizosaccharomyces pombe reveals a role for PCNA in the chk1+ cell cycle checkpoint pathway.. Mol Biol Cell. 1996 7(4):651-62. 1995 Jan Tournier S, Gerbaud P, Anderson WB, Lohmann SM, Evain-Brion D, Raynaud F. Post-translational abnormality of the type II cyclic AMP-dependent protein kinase in psoriasis: modulation by retinoic acid. J Cell Biochem. 1995;57(4):647-54. 1993 Jan Raynaud F, Gerbaud P, Tournier S, Evain-Brion D. Signal transduction in dermoepidermal cells: application to psoriasis. Ann Dermatol Venereol. 1993;120(3):259-64. 1993 Jan Gachet Y., Labonnardière C., Thang MN. and Chousterman S. Induction of atipycal interferon after heat-shock Compte Rendu de l’Académie des Sciences. 1993 : 316 (4):337-340. 1991 Jan Tournier S, Raynaud F, Gerbaud P, Lohmann SM, Dorée M, Evain-Brion D. Association of type II cAMP-dependent protein kinase with p34cdc2 protein kinase in human fibroblasts. J Biol Chem. 1991 5;266(28):19018-22.